This step is the most important because communication is vital. Go ahead and tell the dentist that you experience dental anxiety. Some people will go years with the same dentist without telling them this, and it causes more stress to build up. If a dentist and his/her staff respond negatively or rudely to this proclamation, then they aren’t the doctor for you, or quite frankly anyone. 4 PM mid-week may not be the best time for this. The dentist’s office, or any medical office for that matter, can be a zoo at “rush hours.” The chaos of people in the waiting room is no fun way to start your trip, especially with dental anxiety. This is crucial. DO NOT drink coffee/caffeine before a dental exam and make sure you’re not hungry. Eat high-protein foods and avoid sugary foods and drinks. Being jittery on caffeine only exacerbates fear and anxiety. Before he/she starts whatever is going to be done on your teeth, creating hand signals is one of the best things you can do because talking is hard with hands in your mouth. Stick to signals like stop, go, and pain, etc. Make sure you both are on the same page. Listening to music is not for everyone during an exam, but for some, it can be an escape from the room full of drill and prong noises. There’re many types of audio you can listen to that may help calm your nerves. From music to podcasts to audiobooks, anything seems better than the sounds of the office. Don’t let your dental anxiety get the best of you any longer! The more dental work is put-off and neglected, the more trips to the dentist are going to be needed. Tee Family Dental is here to help make your dental visits painless, and anxiety free! If problems persist, Tee Family Dental offer sleep dentistry as an option for your next treatment. If you have ever flinched from a sharp, shooting tooth pain, you know how disruptive tooth sensitivity can be. Getting to the cause of the problem can prevent the symptoms from escalating. In a healthy mouth, the enamel on the teeth protects the lower layer of dentin which contains thousands of little dentinal tubes leading to the nerves. If the enamel is compromised, hot, cold, acidic or sticky substances can reach the dentin, resulting in pain. Likewise, gums serve as a protective coating to the dentin. The key to discovering the cause of the pain is to determine why the gum or enamel has been broken down. Cavities – Holes in the enamel exposes the dentin. Vigorous brushing – A hard bristled brush can break down the enamel or cause the gums to recede. Gingivitis – When the gums become inflamed, the roots of the tooth can be exposed. Grinding teeth – Clenching and grinding breaks down the enamel. Acidic food – Food or even mouthwash that is particularly acidic can break down the enamel. Cracked tooth – A cracked tooth could cause substances to reach the dentin, become filled with bacteria and get infected. In addition to breaking down the enamel or gums, all of these hazards can negatively affect the dentin. Tooth sensitivity should be addressed as soon as possible. An accurate diagnosis of the problem is an essential part of alleviating and preventing pain. Using a de-sensitising toothpaste like from Colgate or Sensodyne is a simple and easy way to resolve tooth sensitivity, depending upon its cause. Should this fail to work, a surefire solution is to contact us at Tee Family Dental to find the exact cause of the problem! We will go about our usual diagnostic processes which involve testing the tooth for vitality, cracks, decay etc. Once we figure out exactly what the problem is, we will discuss all possible pathways including pros/cons and prices to make sure that the solution works for all of us! What can I do to prevent tooth sensitivity? Schedule regular dentist visits to reduce plaque build up and maintain a healthy mouth. Use a soft bristled brush and brush gently. If you are one of the many Australians suffering from tooth sensitivity, take heart, there are ample solutions. In conjunction with your dentist, it is possible to discover the source of your enamel or gum recession and find a course of action which best fits your needs. Good oral health starts early and ensuring that your kids learn the right habits from a young age can help delay and prevent tooth decay. We don’t often think of tooth decay as an illness, but it is, in fact, the most common chronic disease that affects children and teenagers of all ages. It is essential to teach your kids to brush their teeth at least twice a day, preferably at night before they go to bed and in the morning after breakfast. It is also important to teach them the correct brushing technique to ensure that the teeth are correctly cleaned along the gum line and other hard to reach places. Your dentist can help your kids to learn the best technique. It is also vital to ensure that an age-appropriate toothbrush and toothpaste are used correctly. Food, plaque and other debris can get stuck between the teeth and may not be removed by brushing. In fact, between the teeth is one of the most common places for tooth decay to set in. Flossing after brushing is a great way to remove everything from between teeth and prevent cavities in these areas. Once again, proper technique is essential when flossing. There are a variety of different types of dental floss available. Choose one that is gentle on the gums for kids. Your dentist can assist you in choosing the best kind of floss to use on your children. Rinsing the mouth with an antibacterial mouthwash is a great way to remove all remaining debris in the mouth as well as unseen microorganisms such as bacteria. A good swirl around the mouth and gargle in the back of the throat is the ideal way to finish off a twice-daily dental routine. It is important to use a mouthwash that is appropriate for children and ensure that they do not swallow. Swallowing mouthwash is not recommended. A first dental visit should be around 3 to 6 months after the first teeth appear. After this, a child should see the dentist every 6 months to a year. However, should a dentist be concerned about the overall health of the mouth and teeth or detect a problem early on, they may schedule more regular appointments to prevent tooth decay and other oral health issues from arising in the future. Sugar provides plaque-causing bacteria in the mouth with the food it needs to grow rapidly. It is, therefore, best to avoid sugary drinks and foods altogether. Alternatively, rinse the mouth after eating or brushing teeth. An apple a day is however recommended as it helps strengthen teeth and gums as it can help effectively clean the teeth. 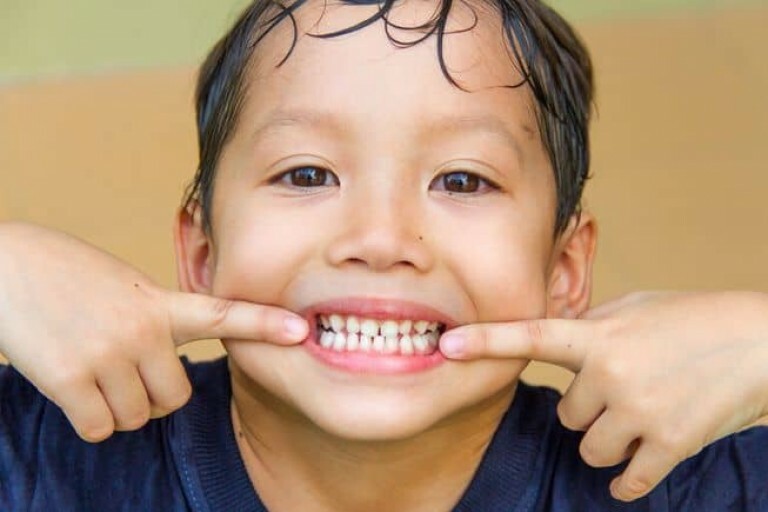 Remember that children learn best from imitating their parents, and if you have a good oral health routine, they should have no problem following suit and heading towards a future free of tooth decay. Help keep your children’s teeth healthy by calling us today to schedule a check-up with out family dental service! Teeth discolouration is an inevitable part of the aging process. Things like diet, genes, and tobacco use can speed up or worsen this process. 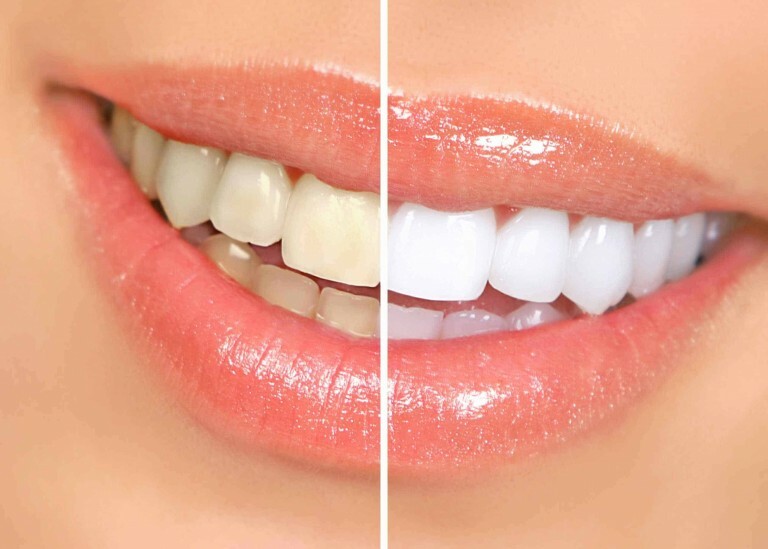 There are a variety of products available to bring teeth back to the shade of white you are most comfortable with. Some options are safe, some put your teeth at risk, and some fall in between. Some products strip the teeth of their natural protective coating and leave the teeth feeling sensitive. Others can introduce your gums and body to dangerous chemicals. Before making your decision, there are a few things to consider. Swap coffee for Tee, red wine for white, wear teeth guards for grinding and brush your teeth often. This will give you a great start when considering your whitening options. Over-the-counter products are available on both store shelves and online. There are many brands and varieties to choose from, from paint-on liquids to strips. These methods are budget friendly but often require lengthy use and repetition to be effective. Going though twenty or thirty boxes is not going to be as friendly on your wallet. Kits you can bring home from your dentist are another option. At Tee Family Dental, we can supply you with a custom set of whitening trays using the latest innovative technology and highest quality materials. Most importantly, we will assure your teeth are healthy enough to be safely whitened before administering any cosmetic enhancements. Appointments with our office are easy to make, and we strive to provide a high-quality experience with friendly staff. During your visit, we can properly address any calcifications or other factors that may diminish the effects of a whitening procedure before you spend your money on a treatment option. We can also provide services to help your teeth reach their optimal health in preparation for the whitening process. Gum health is equally as important as tooth health. Having a dentist apply whitening agents assures that your gums will not be aversely affected. Dentists can even apply a protective layer to your gums when using higher concentrations of bleach-based products. Tooth sensitivity is a common side effect of whitening, which is why we firmly believe that it is essential for our patients to work in conjunction with our dentists. Every member of staff at Tee Family Dental is focused and determined to deliver the best possible outcomes for our patients. We take the time to discuss the options and help out patients make the best choice for their individual circumstances. If you want a dentist that cares, that has the knowledge, experience, and expertise to deliver the whitening results you desire, Tee Family Dental is the company you have been looking for. What Dental Filling is Right For Me? If you have a minor cavity, the best way to deal with it is to have a dental filling put in. In this brief article, you’ll learn about how a dental filling works and how to choose the best type of filling for your condition. First of all, you have to understand what dental filling is before you can understand how to choose the right one for you. Cavities are caused by the acid-producing bacteria in the plaque that builds up on your teeth. By securing the opening in the tooth, you can prevent the cavity from developing any further. In short, a dental filling is a dental material that’s designed to be placed in the cavity to restore the natural shape and function of the tooth. Most dental fillings are made from gold, porcelain, composite resin, or amalgam. How do I know when I need a dental filling? Typically, a dental filling is the optimal treatment for smaller dental procedures where a crown or a cap isn’t required. If the cavity or infection reaches the root or the gum, it may require a root canal therapy or pulp capping to preserve the tooth. The first thing the dentist will do when you come in for a dental filling is to clean the surface of the tooth as well as disinfect the cavity to ensure that there is no bacteria left in the opening. This is done to prevent further corrosion of the tooth by the active bacteria. Once the cavity has been cleaned out, the filling will then be fitted into the opening. This is a question with no definitive answer, as the optimal choice varies from case to case. You have to consider everything from your condition and your budget to how quickly you want the process to be. So how do I know which type of filling I need? It’s very difficult to answer this question without an examination. In order to know the best course of action, visit your dentist for a thorough assessment. They can give you suggestions on what you need to do according to your condition and budget or insurance coverage. An amalgam filling may be the cheapest option, but there are a few downsides. First of all, the combination of harmful alloys such as mercury and zinc in the material raised some health concerns, which is why it was later replaced by other safer options. The color of this filling will not be the same as a normal tooth, making it a suboptimal choice for any tooth that can be seen when you smile. If you’re looking for a dental filling option that most resembles the natural color of the teeth, composite resins are the best for you. The problem with composite resins is that they aren’t very durable, and they are prone to chipping and breaking. If you’re looking for a long lasting option, this won’t be the best choice for you. For a large cavity or highly damaged tooth, porcelain fillings may be the best option. Instead of filling the cavity, the porcelain treatment usually covers the whole tooth, making it highly durable. This means that the chances of them breaking are quite low. The downside is that a porcelain filling is rather expensive compared to the other available options. touch today to see how we can help. A root canal is a treatment used to treat and save a tooth that has been badly damaged or decayed. It’s crucial to preserve a permanent tooth from falling out if you can, as there are many problems that can follow the loss of a tooth. The gum area may be more sensitive to heat and cold and it’s more likely to get infected. Also, the alignment of the teeth will naturally put some pressure on each tooth. When a tooth is missing, the rest of the structure could be at risk of collapsing. This is a serious issue, as it will take a lot of time and money to treat the condition, not to mention that it will lower your quality of life significantly. Gum or tooth pain can arise due to many reasons. It could be something that has nothing to do with your teeth at all, such as a sinus infection, or it could be a problem with the root of your tooth. If you’re experiencing pain, head to the dentist right away to get your teeth checked out. The inner part of your teeth is filled with nerve endings that, when exposed, can cause the tooth to become sensitive to hot and cold food. This is likely to happen when your tooth is cracked, and it’s a very common problem for those who eat hard food regularly or play a lot of contact sports. A chipped tooth can cause a severe toothache if the damage is substantial enough, and it can leave the gum vulnerable to infection. If the infection gets into the bloodstream, it can cause a much more serious issue. A root canal treatment can help to solve this issue and prevent the infection from spreading. If you have a sensitive tooth and you’re not sure what’s causing it, the problem may be that the root of the tooth was left vulnerable in an area where you can’t see. Lingering sensitivity and pain can be a sign of infection. If that’s the case, it will never go away on its own. Leaving a sensitive tooth unaddressed can worsen the problem significantly. It’s better to take care of this issue early on so that it doesn’t bother you in the long run, and if that’s what you decide to do, a root canal treatment is what you need. Inflamed gums are usually visibly red and swollen. The severity could range from being mildly irritating to very painful, and if not taken care of on time, it could develop into a more serious issue. A root canal may be what you need if you’re experiencing a severe gum inflammation and medications aren’t helping. The plaque buildup on the surface of your tooth is a result of poor dental hygiene and food choices, and it can lead to common dental issues such as cavities, abrasion, and discoloration. If the problem progresses, it may put the root of your tooth at risk and result in you needing a root canal treatment. Tee Family Dental is a local dental office in Perth that provides root canal treatment – get in touch today to see how we can help. We have all been through times when a toothache gave us a lot of grief. 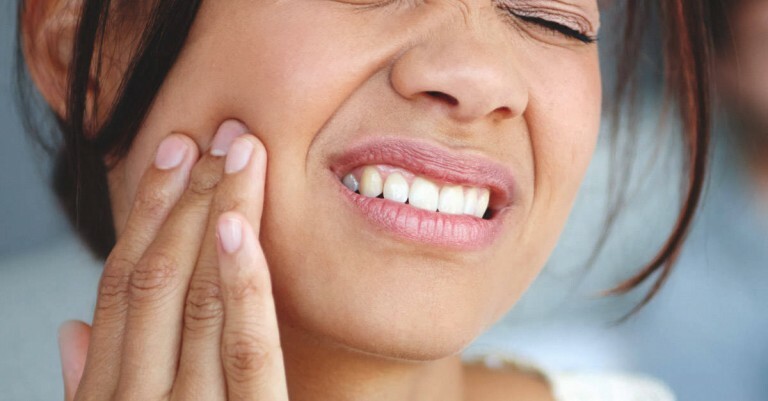 Be it due to a cavity or the arrival of the painful wisdom teeth, toothaches are quite common. But when is the right time to see a dentist? If over-the-counter medicines do not ease the pain and it’s been too long, it is time to take a short trip to the dentist’s clinic. Let’s take a closer look at five signs that your toothache should send you to the dentist. Let’s clear a misconception – blood in the mouth is not okay. We panic when we find blood in the stool but are completely fine with bleeding gums. It really isn’t right. Swollen or bleeding gums can be a sign of gingivitis or gum disease and can result in loss of teeth. Poor dental hygiene can lead to plaque build-up on the teeth, which can cause your gums to swell and bleed. Try brushing slower and using a brush with soft bristles. If the swelling and bleeding does not reduce or stop, see a dentist. 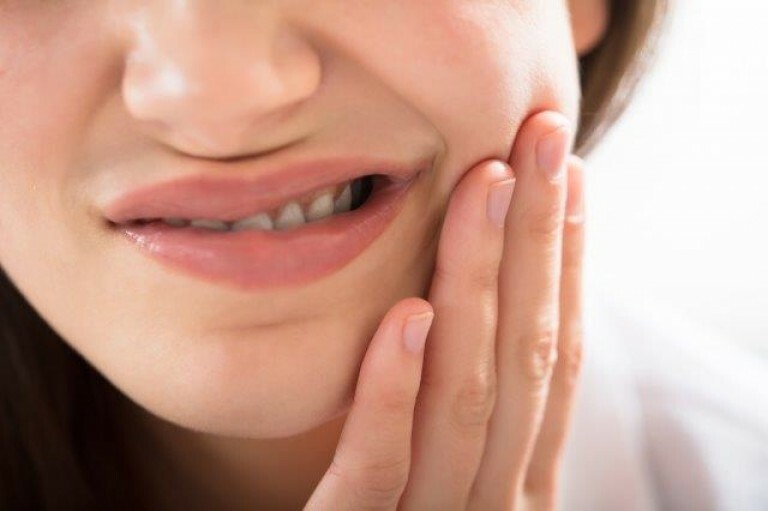 If hot, cold, or very acidic food and drinks make your teeth feel painful, then you have sensitive teeth, also known as dentin hypersensitivity or root sensitivity. It could be an indicator of tooth decay, an exposed root due to aggressive brushing, a loose filling, or bruxism. Use a sensitivity toothpaste, avoid whitening products, and use a gentle toothbrush. If all else fails and the pain refuses to subside, visit the dentist who can fix it with a simple filling if caught at an early stage. If it has been over two days and your oral pain refuses to go, there is a problem that only a dentist can solve. Severe pain for a long time may indicate that the pulp tissue of the tooth is damaged and decay has come close enough to enter the nerve. The remedy could be a root canal or a dental implant and taking antibiotics. It can get dangerous if the infection spreads to other parts of your body so if you cannot get in touch with the dentist, see an oral surgeon at the emergency unit of a hospital. 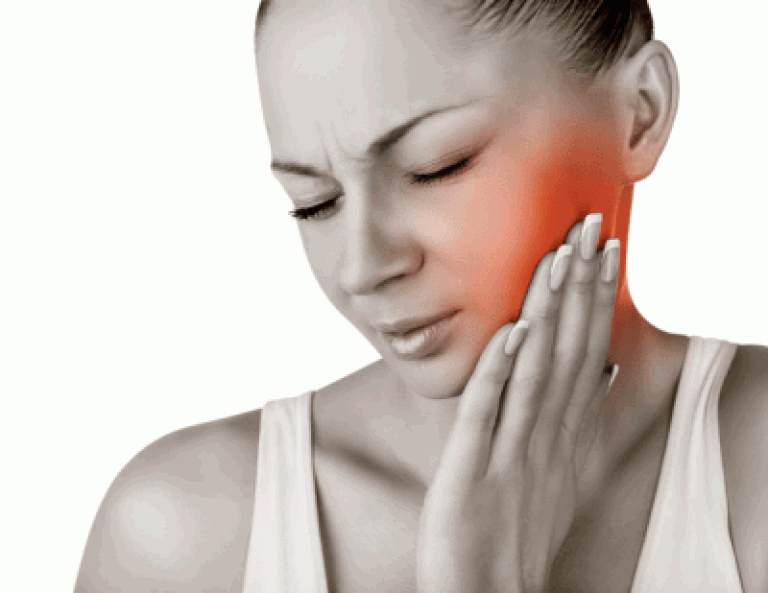 If a toothache is unbearable or if it results in swelling, drainage, and fever, it is a cause for concern. In most cases, it will probably be a normal cavity. See a dentist or rush to the emergency room. To ease the pain for a while, apply some pain-relieving gel or hold a cold compress over the affected area. If you have a tooth that has been knocked out, knocked loose, or been chipped or cracked, you need to rush to the dentist immediately because in most cases, a delay can cause the teeth to get infected and become untreatable. If you lost a tooth, you should be at the dentist’s clinic within 30 minutes. Common treatments in these cases are dental implants, root canals, crowns, or fillings. Dental mishaps like losing or chipping a tooth in an accident cannot be prevented, but we can definitely take care of our teeth at home by brushing twice a day with fluoride toothpaste, flossing at least once, and seeing a dentist for professional cleaning twice a year. These good practices ensure that your teeth stay healthy. Dentists are able to detect dental problems early on and will be able to save you from the pain and expenses of fixing big oral issues. Tee Family Dental is a local dental office in Perth that can help ease toothache pain – get in touch today to see how we can help. They say that wisdom comes with age. In most cases, however, what comes along with your late teen years are wisdom teeth. Whether it makes one wise or not is still unknown, but it definitely teaches you a thing or two about how to handle pain. Wisdom teeth are the third set of molars that appear the last and if properly aligned, can help to chew. But in most cases, they are misaligned and cause discomfort. They can even damage the nerves, the jawbone, and the adjacent teeth. 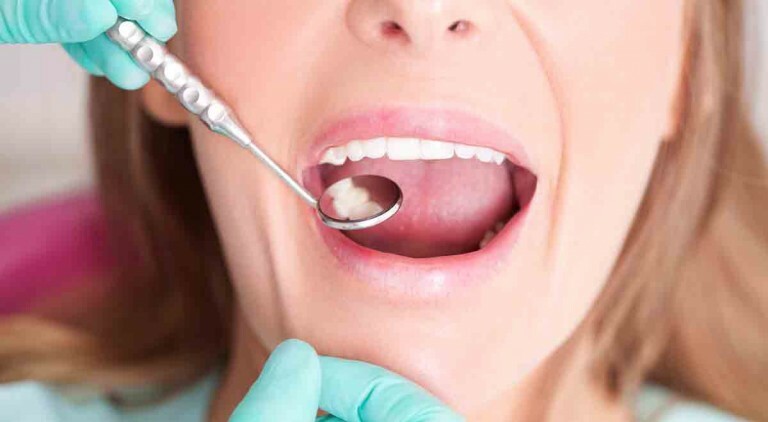 If you are one of those unlucky chaps whose wisdom teeth were not very kind to and your dentist has advised you to get your wisdom teeth removed, worry not because it is completely safe. In this article, we will be covering three reasons why wisdom teeth removal is prescribed by dentists and the benefits of doing so. In most cases, this is the primary reason for the extraction of wisdom teeth. Your third set of molars may be angled toward or away from the second molars, inward or outward towards your lip, or even positioned horizontally. In such cases, they pose a serious threat to your oral health. If they erupt horizontally, they can push against the closest molars, which can cause complications or disrupt the movement of the other teeth. Another issue with misalignment is the problem in the cleaning of teeth. The awkward positioning makes the area hard to reach, making brushing and flossing unnecessarily difficult. This makes the area a haven for bacteria and infections, which can lead to tooth decay. Therefore, if you have misaligned wisdom teeth, it’s usually in your best interest to get them removed. If you are one of those readers who has recently visited a dentist and have been recommended to remove the wisdom teeth because they “are impacted,” don’t get all distressed. Impacted wisdom teeth are actually relatively common. When a dentist says that your wisdom teeth have been impacted, this means that your teeth are trapped under the gums or in the jaw. Often the wisdom teeth have difficulty in emerging due to the lack of space in the mouth and remain trapped. In some cases, they just erupt partially. This is not only painful but can also lead to serious infections because you cannot clean the area thoroughly. If you have impacted wisdom teeth, give yourself relief from the pain and swelling by getting them extracted once and for all. In most cases, people do not have enough space in their mouth to make way for the third set of molars. If new teeth are added to an already full jawbone, the teeth usually shift to accommodate the new set of teeth. Even though this might not be painful or cause discomfort, it can lead to orthodontic problems in the future. Wisdom teeth crowding also make your mouth look ugly and ruin a great smile! If you have a small mouth and have not removed your wisdom teeth yet, it may be time to take the plunge and get them removed immediately. Tee Family Dental is a local dental office that provides wisdom teeth removal services in Perth – get in touch today to see how we can help. One of the most difficult things about aging is facing the reality that someday you may lose your teeth. Your pearly whites are one of the most noticeable things about your appearance. When you lose all or even some of them, it can feel like you’re losing a part of yourself. Aside from the cosmetic element, however, your teeth also serve a very functional purpose of chewing your food. Without them, you aren’t able to mechanically break down your food for your digestive system to process. One of the best things about immediate dentures is exactly what you’d think – it’s immediate. Patients don’t have to wait days or weeks before they receive their dentures. In fact, they can receive their dentures on the very same day of their tooth or teeth removal! This means that there isn’t an awkward in-between period when you have to go without teeth. Immediate dentures are created in a way that they can be used even while the rest of your mouth is recovering from teeth removal. Conventional dentures are intended to replace both your upper set of teeth and your lower set of teeth. They usually require you to visit the dentist a couple of times as they are fitted and custom-made to look just like your actual teeth. Conventional dentures also require you to recover from teeth removal first, meaning you will have to go without teeth for some time. 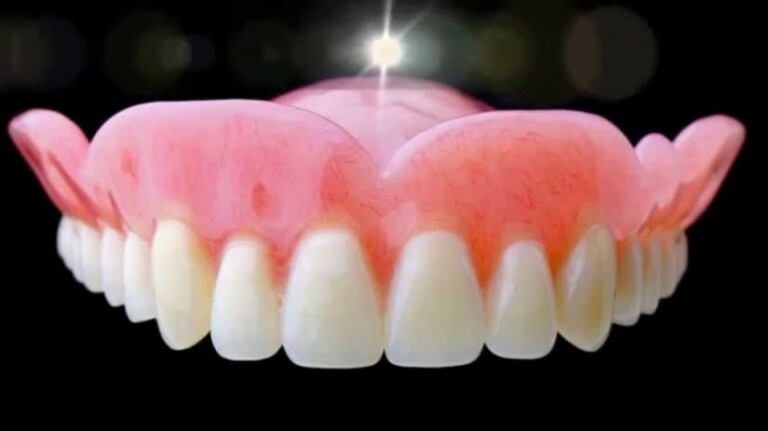 Overdentures will look like a replica of your natural teeth and will be implanted to fit over any remaining teeth. People who wear overdentures say that they’re considerably more comfortable and stable compared to immediate or conventional dentures. They also appear to be more natural because they are fused with your actual bone and gums. These types of dentures are the perfect choice for those who may have lost a tooth or two but still have some remaining. They are made using a metal frame with plastic “gums” to fill the gaps where there are no teeth. This makes it possible for you to chew comfortably. Partial dentures can look and feel natural while supporting your remaining teeth. Conventional partial dentures are a cross between conventional and partial dentures. Like partial dentures, they’re created using metal clasps and are fastened tightly to your remaining teeth. They may require a couple of weeks to be made, however, so you’ll have to make do with your remaining teeth for a while. Tee Family Dental is a local dental office in Perth that is family friendly & affordable – get in touch today to see how we can help. There are two basic types of dental emergencies: that can be treated and even prevented altogether with early detection. Conditions like gum abscesses, pulpal assesses, infections, cracked teeth, and inflammations can often be prevented by visiting your dentist on a regular basis. Undoubtedly the best way to prevent these types of common dental emergencies is to ensure that your teeth are in good condition, to begin with. You can do this by practising proper oral hygiene habits and getting your teeth professionally cleaned every six months. Although many dental emergencies in the first category can be prevented, the second category is a little bit more difficult to see coming. This is because they are dental emergencies resulting from accidents or injuries. That being said, there are some things that you can do to avoid injury or at least reduce the impact of injuries when accidents do occur. In the case of an accident, the most common dental emergencies are trauma to the tooth and chipping and breaking of teeth. There are a few simple things that you can do to avoid damaging or minimizing the injury when in an accident. Let’s take a look. If your teeth are weak or you’ve recently had a filling put in or a root canal treatment performed, you’re more prone to damaging your teeth by chewing hard objects. Ice, popcorn kernels, and even candy can do some serious damage if you aren’t careful. It’s best to avoid chewing or biting them completely. A lot of people also have a habit of using their teeth to cut tape or thread. This is a bad habit and can damage your teeth. Spare yourself the trouble of tooth damage and go look for a pair of scissors. If you play sports, it’s important for you to take measures to protect your teeth. Mouthguards are highly recommended by dental professionals to prevent or at least minimize dental injury. Get a mouthguard that fits well so that you aren’t as likely to hurt your teeth while enjoying your afternoon playing rugby. If you have children, you have an obligation as their parent to teach them how to take care of their teeth. Chances are you’ve helped them brush and clean their teeth and encourage them to eat well. When it comes to preventing common accident-related dental emergencies, however, you may have to do a little bit more. Babies like putting things into their mouths. Make sure that their teething toys are soft and safe to chew and that they aren’t putting dangerous hard objects into their mouth, particularly if they’re a choking hazard. After a trip or a fall, check your child’s teeth to make sure everything is alright. Keep an eye out for loose teeth, breaks, cracks or even those missing entirely. Addressing such problems early on will prevent more serious situations later. If you have an older child who enjoys contact sports, it’s highly recommended that you invest in a good mouthguard for them too. There are plenty of cheap ones available in just about any sporting goods store. However, do some research to ensure that you’re getting a quality one that can prevent damage even from hard hits. Tee Family Dental is a local dental office in Perth that covers emergency dental treatment – get in touch today to see how we can help.